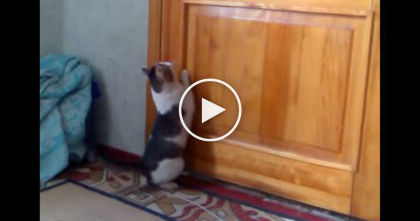 Cat Takes ALL The Jobs In The House, But Watch And See What He Can Do… LOL! Who knew cats did so much for us? Two cats starring in this adorable video decide they want to be the managers of the house – you won’t believe all the jobs they take on and how much “work” they do! 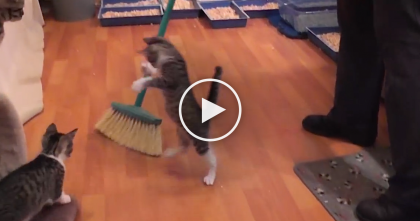 These sweet kitties do it all – from letter opener to restroom attendant! What would we do without our furry friends? 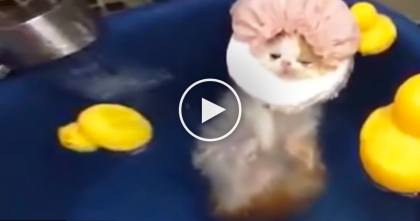 Cats bring us so much love and joy to our lives—SHARE this adorable video online! 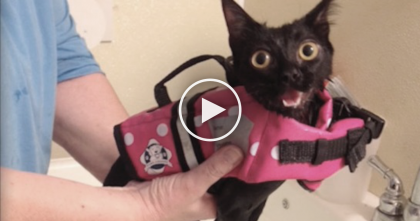 Paralyzed Kitten In A Wheelchair Gets The Best Gift Ever… This Is AMAZING, Just Watch! 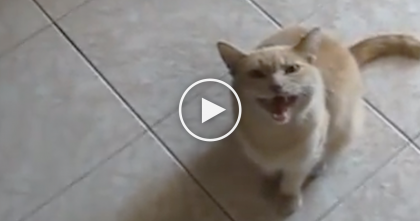 Weird Meowing Cat is NOTHING Like You’ve Ever Heard…Just Listen!! OMG, What In The World? !